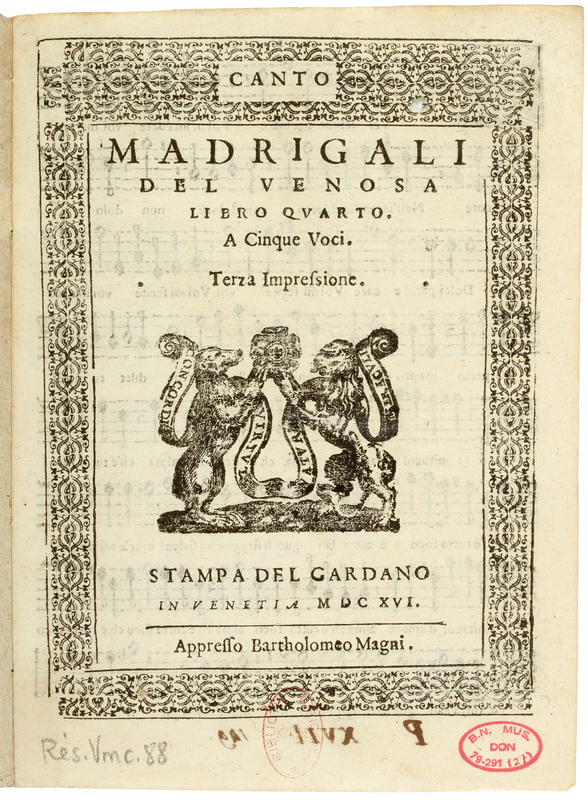 The Gesualdo Online project, developed by the Programme Ricercar at the Centre for Renaissance Studies in Tours, represents an innovative way to conceive and to publish a musical edition. Through the application of new web technologies to musicology, in particular in the domain of “dynamic” editions, the project allows musicologists and editors to re-think traditional editorial praxis. The Gesualdo Online Project at the Center for Renaissance Studies invites those in the musicological and musical community interested in Gesualdo’s music to their create their own user account in the project website and to contribute to this online edition. 1 Canzon alla francese for instrumental ensemble attested into two versions, the latter being a diminished version of the former. For the six-voice Sacrae Cantiones, whose Sextus and the Bassus partbooks are missing, users are invited to contribute their own reconstructions. 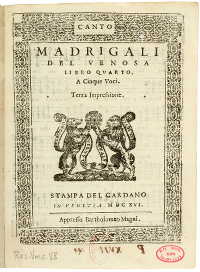 In other cases, as for the book of 6-voice madrigals or the canzonetta Ite, sospiri ardenti (of which only the Basso part survives), any attempt at reconstruction would be more hypothetical. The Project web site provides a structured database conforming to Dublin Core standards and organised through the Omeka CMS web publishing system. This system will permit the user to make simple and advanced searches as in an interoperable digital library. This Project is funded by the European Regional Development Fund.